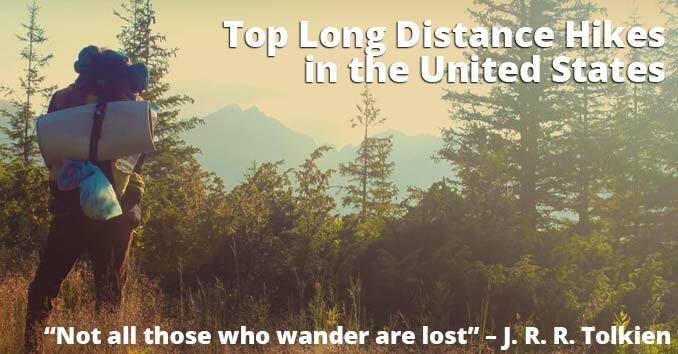 Some of us are born with a restless soul; to quench that thirst for adventure many have taken to thru-hiking long-distance trails throughout the United States. 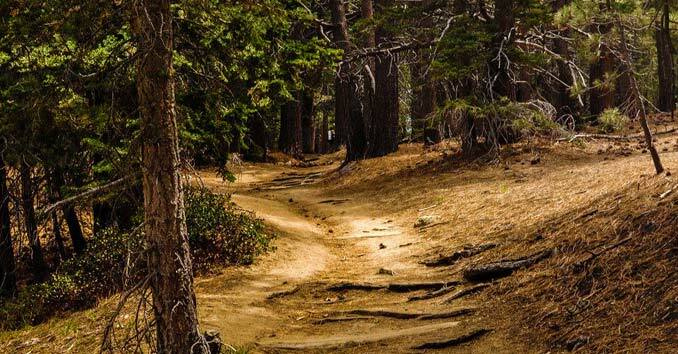 The freedom of taking the road less traveled, and completing one of these scenic trails is something that attracts thousands of diehard outdoorsmen, backpackers, and ramblin’ men every year. 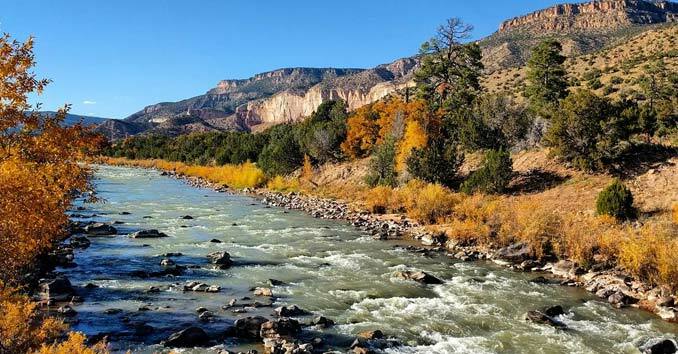 If you’re looking for an adventure, or simply looking to test yourself and your limits, these long-distance trails might be the exact thing you’ve been looking for. Clocking in at 2,663 miles, the Pacific Crest Trail (PCT) stretches from Mexico to Canada through California, Oregon, and Washington. The PCT passes through 25 national forests and seven national parks, with elevations ranging from just above sea level to 13,153 feet. The PCT is one of the original National Scenic Trails, established in 1968 with the passage of the National Trails System Act. In 1993, the PCT was officially finished. To hike the entire trail in one thru-hike, most hikers will take somewhere around 4-6 months to complete the trek. Somewhere around 300 people attempt it every year, with a little over half of them is finishing the entire PCT. The Appalachian Trail, or better known as the AT by those who hike it, is probably the most well-known of the National Scenic Trails. 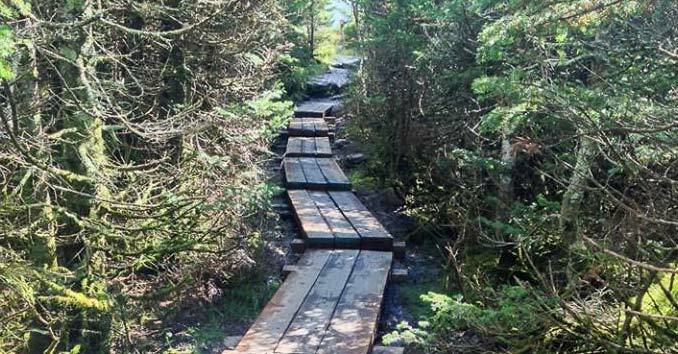 The AT is approximately 2,190 miles of iconic trails that stretch from the Springer Mountain in Georgia to Mount Katahdin in Maine. The trail, which was completed in 1937, passes through 14 states — Georgia, North Carolina, Tennessee, Virginia, West Virginia, Maryland, Pennsylvania, New Jersey, New York, Connecticut, Massachusetts, Vermont, New Hampshire, and Maine. Over 3 million people travel through various parts of the smaller trails every year, but only a couple of thousand people attempt to thru-hike the entire trail. Out of those who attempt to hike the entire route, fewer than 30% actually finish it. The trail has more than 250 shelters and campsites, making it one of the best maintained and hiker friendly trails in the country. There are also a number of trail towns that thru-hikers can stop at to either re-supply or take a break from the trail. The Continental Divide Trail is 3,100 miles of trail that is constantly changing, so much so that the exact route is often disputed and or changed because of weather or problems with the trail. Sections of the trail are built or changed so frequently that most USGS maps don’t even bother to label the exact route. To date, only 70% of the route is officially complete, so those that do try to complete the hike can expect to be doing a lot of trail finding and hiking outside of designated routes. The trail takes about six months to finish, but the running joke between CDT hikers is that it’s because you can expect to be lost for about 4 hours a day. The CDT runs between Mexico and Canada. It roughly follows the Continental Divide along the Rocky Mountains and passes through five states — Montana, Idaho, Wyoming, Colorado, and New Mexico. Somewhere around 250 people start the trail every year, but only a third of them actually make it to the end. The Pacific North West Trail runs 1,200 miles from Glacier National Park in Montana to the Olympic Peninsular in Washington. 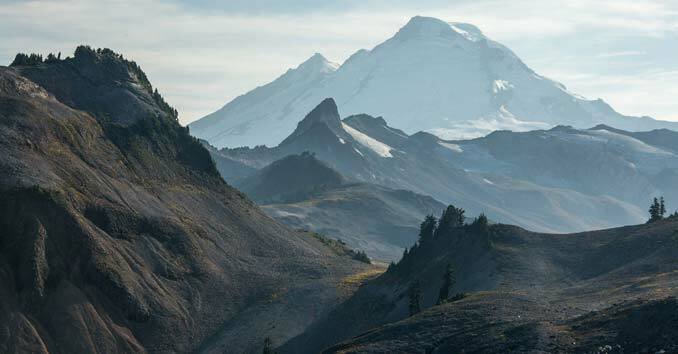 The Pacific Northwest Trail has recently become one of the United States newest National Scenic Trails. Hikers and equestrians primarily use it, and it ranks among the most scenic, rugged and wild trails in the world. The trail crosses three National Parks, seven National Forests and seven mountain ranges. At an estimated 6,800 miles, the American Discovery Trail is one of the longest hiking trails in the world. Stretching from coast-to-coast, the American Discovery Trail passes through 15 states — Delaware, Maryland, West Virginia, Ohio, Kentucky, Indiana, Illinois, Iowa, Nebraska, Missouri, Kansas, Colorado, Utah, Nevada, and California. The American Discovery Trail is unique because it is made up of a collection of both hiking and biking trails, with most of the trail allowing horses as well. It passes through 14 national parks, 16 national forests, and uses trail sections from 5 other National Scenic Trail systems. Only a few people have actually completed the entire trail; most notably was Mike “Lion King” Daniel who was the first person to backpack the entire 6,800 miles in one continuous hike. The Great Western Loop is a 6,875-mile trail that links five long-distance trails — the Pacific Crest Trail, Pacific Northwest Trail, Continental Divide Trail, Grand Enchantment Trail, and Arizona Trail. The trail passes through 12 National Parks and seventy-five wilderness areas. Although the trail is not officially recognized, on April 9, 2007, adventurer Andrew Skurka became the first person to attempt the trek. 208 days later he completed what is now known as the Great Western Loop. To date, Skurka is the only person to have ever actually completed the entire trail. The Eastern Continental Trail connects multiple trails as it winds through 5,400 miles across the entire eastern United States coast. Starting at the Southernmost Point of the United States, in Key West, Florida and making its way through the Appalachian Trail and up into Canada, the trail takes you through multiple climates before ending on Belle Island. 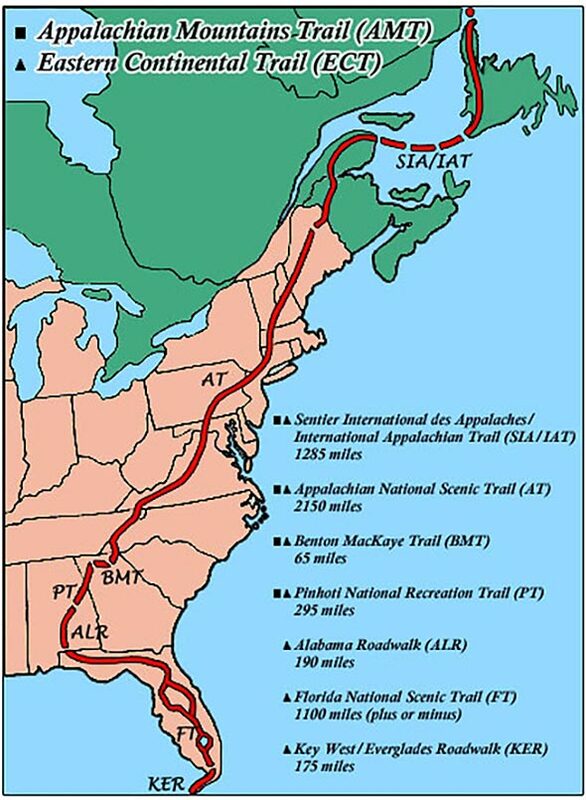 The trail utilizes five existing trails, from north to south: International Appalachian Trail (New Brunswick and Quebec), Appalachian Trail, Benton MacKaye Trail, Pinhoti National Recreation Trail (Georgia and Alabama), and Florida National Scenic. 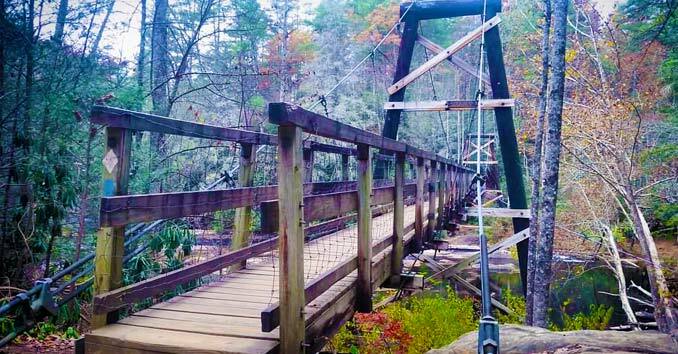 A thru-hike of the Eastern Continental Trail takes almost a year to complete. 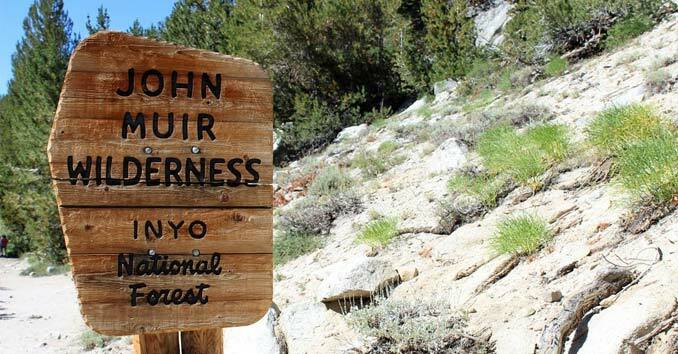 Running through the High Sierras from Yosemite National Park to the summit of Mount Whitney, the John Muir trail is 215 miles of wilderness, adventure, and high altitude trails that will test your limits but also give you a time you’ll never forget. 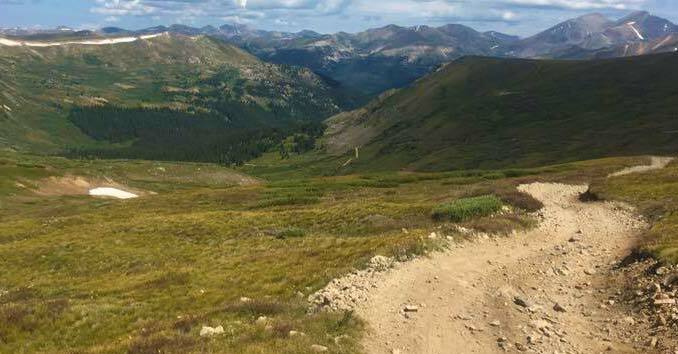 With trails that never dip below 7,000 feet and numerous sections of the trail that will have you hiking above 11,000 feet, this trail is not for the faint of heart. There are no shelters, large parts where you will not be able to resupply your food or gear, and numerous sections that will have you wishing you stayed home; that being said, if you complete this trail you will have a once in a lifetime experience, unlike anything you’ve probably ever experienced before. The trail starts in Yosemite and continues through the Ansel Adams Wilderness, Sequoia National Park, King Canyon National Park, and ends at an altitude of 14,496 feet at the peak of Mount Whitney. Completed in 1930 by the Green Mountain Club, the long trail is one of the original long-distance hiking trails. 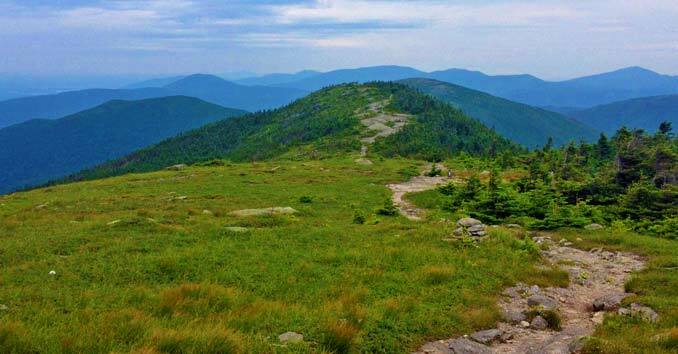 The trail is 272 miles long, and it runs from the Massachusetts state line in the south to the Vermont-Canada border. 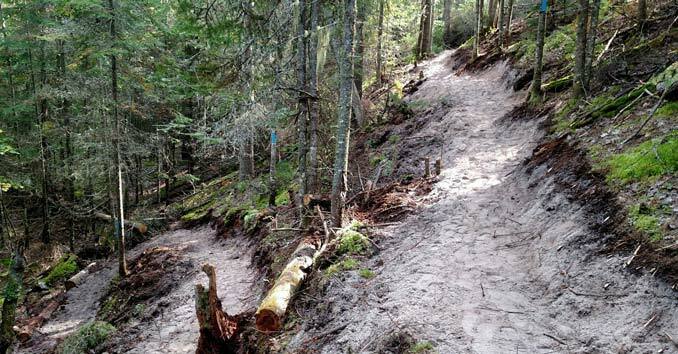 The trail is one of the more difficult trails on the list and will have hikers trekking through remote, rugged mountains that are often muddy and plagued with black flies. 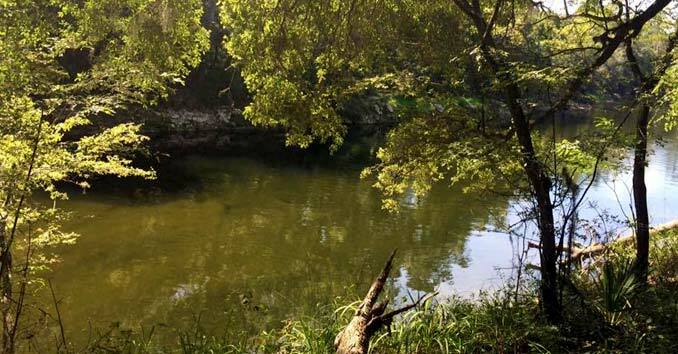 If you’re just getting started in hiking, you will want to hike at least a couple smaller trails before setting out on this one. 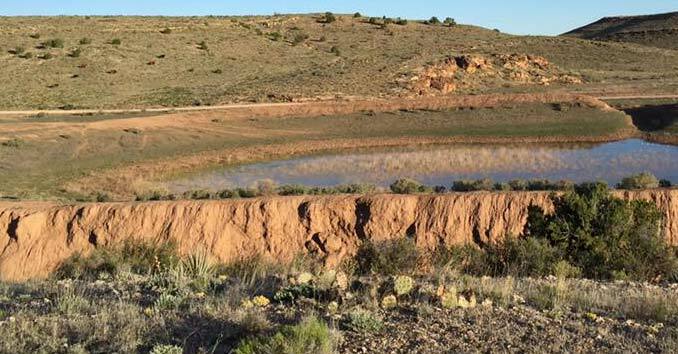 For anyone who loves the Desert Southwest, the Hayduke trail will bring you through some of the most beautiful but challenging terrains you can set your feet on. Beginning in the Arches National Park, and stretching 812 miles through the southwestern desert landscape, the Heyduke trail will take you through the Canyonlands, Bryce Canyon, Grand Canyon, and Zion National parks. This trial is definitely not for beginners and is not for people who haven’t acclimated themselves to desert hiking. Water is scarce, and the ability to be able to navigate trails without a lot of markers is essential. Only ten people have ever actually completed the full trail, so if you manage to find your way to the end, you will be among a small but elite class of hikers. The Ice Age Trail stretches for 1200 miles through Wisconsin’s unique glacial landscapes. From Interstate State Park on the Minnesota border to Potawatomi State Park on Lake Michigan, the Ice Age Trail traverses some of the most scenic views in the U.S. 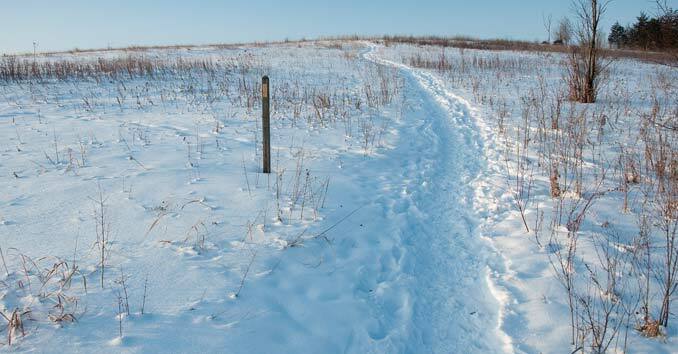 The North Country Trail runs for over 4600 miles through America’s rugged northern heartland. 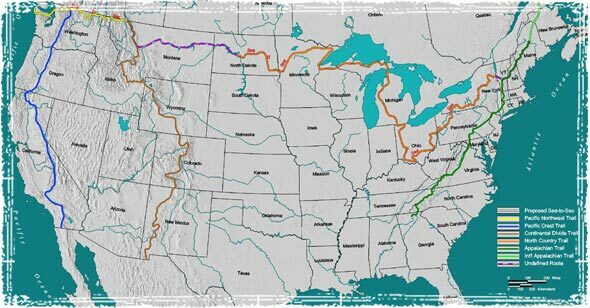 The trail runs through seven Northern states, from New York to North Dakota. The trail is one of the least traveled of the National Scenic Trails, and also holds the destination of being the longest. Whether you’re a die-hard fisherman seeking to fish the numerous rivers, lakes, and stream that cross the trail or a winter enthusiast looking to snowshoe through some of the most scenic lands in the heartland, you will be sure to find an adventure along this path. Great list! 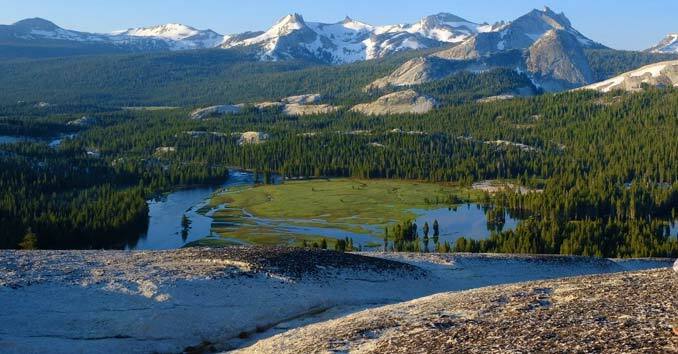 John Muir trail looks like a great place to hike. Will definitely have to add to my places to visit. Been on parts of the Appalachian Trail, John Muir Trail, and Continental Divide Trail. Definitely need to try the Hayduke Trail!